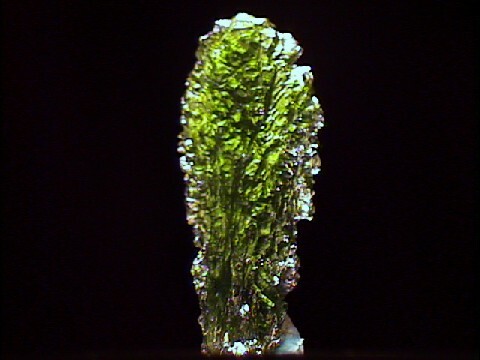 Chemistry: Varies but is mostly silica glass with impurities of magnesium, iron and other elements. The Physical Properties of Tektities. Tektites are still poorly understood. They are irregularly- and at times intricately-shaped nodules and blobs of a glassy substance. They have no crystal structure, and are therefore similar to obsidian, but are not associated with volcanic processes. Their chemistry is unique and somewhat unexplained. The leading theory concerning their origin is the "Meteorite Impact Theory". It is postulated that many odd events occur during a meteor's impact because of the tremendous heat and pressure produced. Tektites may be fused glass that formed during an impact of a meteor with layers of rock on the Earth's surface. Tektites occur in broad bands in specific localities in different parts of the world. These bands produce characteristically similar tektites and are sometimes loosely associated with meteorite craters or suspected craters. Could these fields represent splash material from an impact? Many believe so and this idea is gaining acceptance from many scientists. 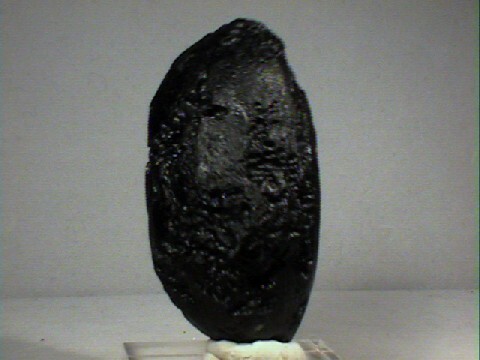 The odd and diverse chemistry of the tektites could be a result of unique meteorites hitting unique rock types with the combinations producing particular effects. 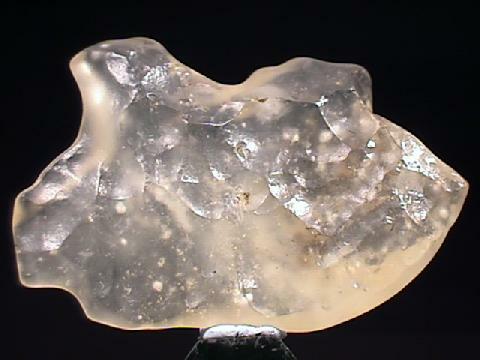 Many tektites have a teardrop shape that could easily form as blobs of liquefied quartz cooled in air while falling to the Earth. 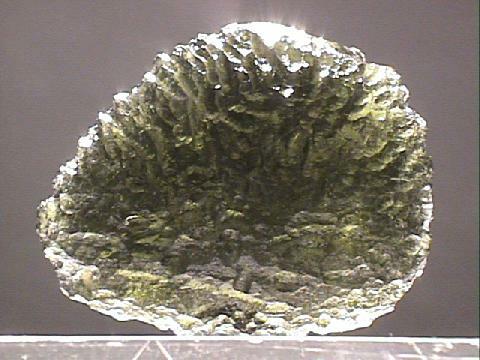 Some tektites, called Moldavites, are especially prized for their clarity and unique green color. 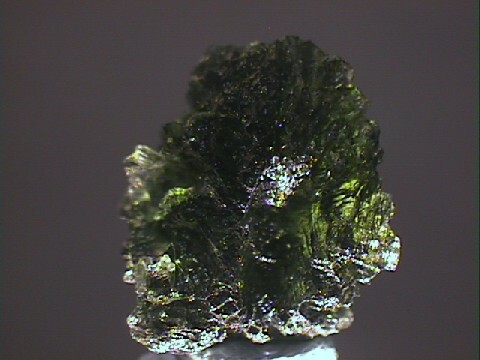 Moldavites are found in a "splash field" centered around Moldavia in former Czechoslovakia and are believed to have come from a meteorite crater in Germany. 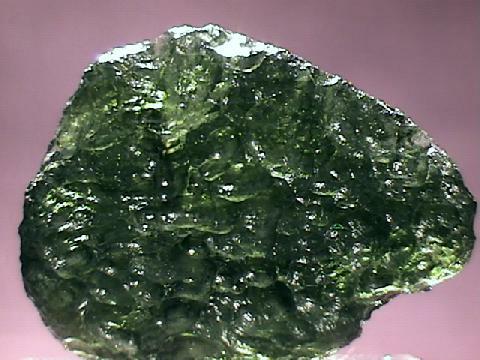 Moldavites are sometimes cut as gemstones or put into jewelry as natural uncut pieces to show off their often eerie and beautifully intricate shapes. Color is black, green or colorless. Habits are usually small nodules or splinters that vary from simple rounded shapes to very intricate natural carvings. Many have smooth, scarred, or pitted surfaces. Hardness is 5 - 6. Best Field Indicators are color, odd shapes, localities and lack of cleavage or crystal faces.